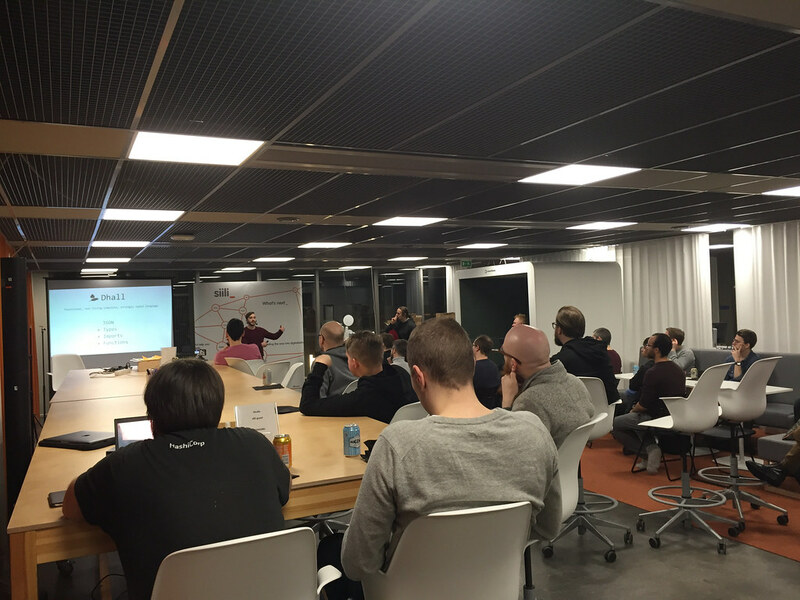 We had the pleasure and honor to host this year’s first Clojure Helsinki Meetup at Siili Solutions office. Here are my notes about the event. We had 42 clojurists join us to see great presentations, mingle with likeminded people and collaborate on ideating possibilities for this year’s community activities. Fabrizio continued on Dhall topics, now discussing his experiences on writing the compiler. 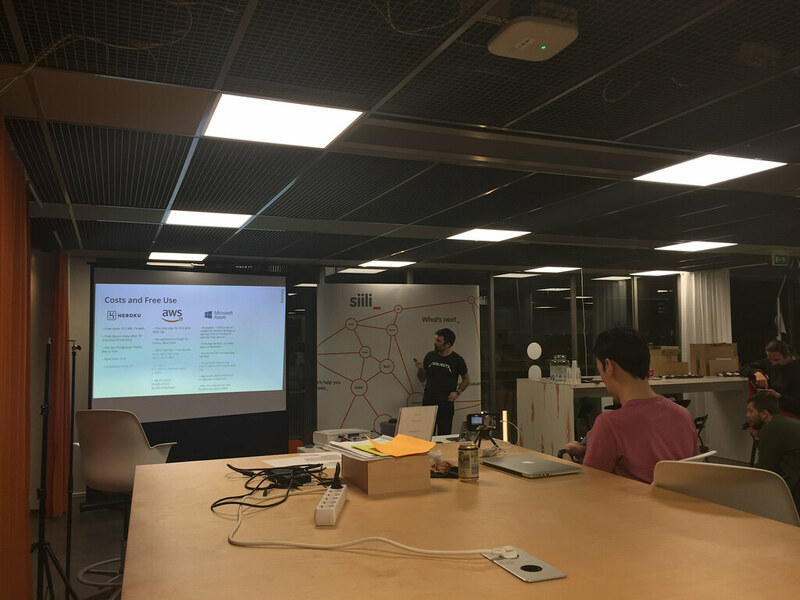 Yrjö shared his experiences on deploying Clojure on PaaS services. And though each platform has improved since his last try, it was a good presentation about how to approach this kind of comparison question. Could be fun to redo similar test after a while, but testing new capabilities that platforms offer. For example deployment as a docker image. 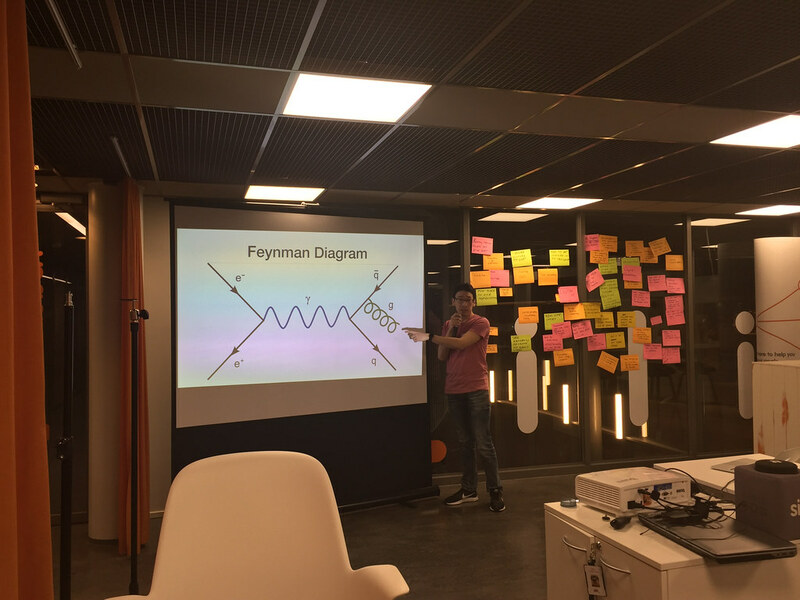 Rakhim’s talk explored what could future programming environments look and be like, and how different types of ways of making sense about dataflow and functions could allow also more diverse groups of people to get into programming. Besides presentations, we also had a small workshop on what we could do as a community this year. 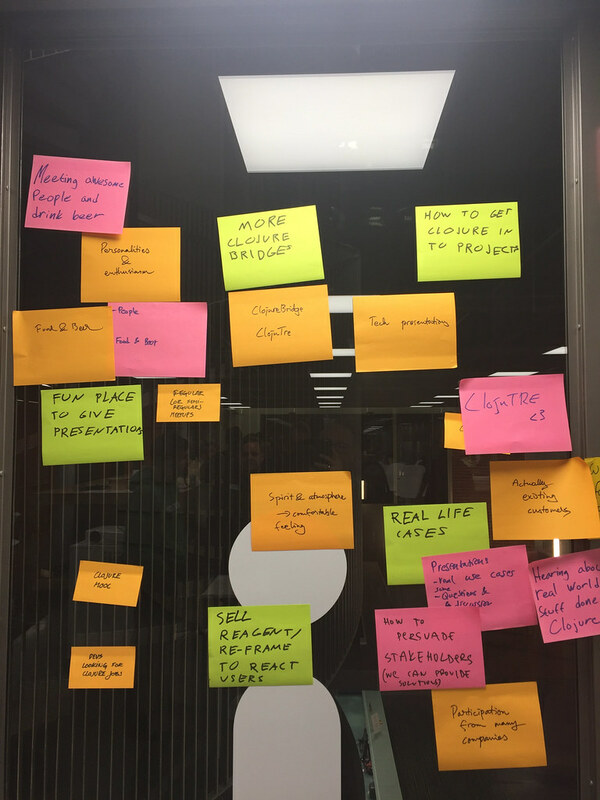 First, we discussed things we already like in the community – things we want to keep and appreciate. Common themes among others were the spirit, atmosphere, and fun we have. That the community is a genuinely nice programmer community, where people really care about programming and are nice human beings. ClojuTre got big love, as well as Clojure Bridge. 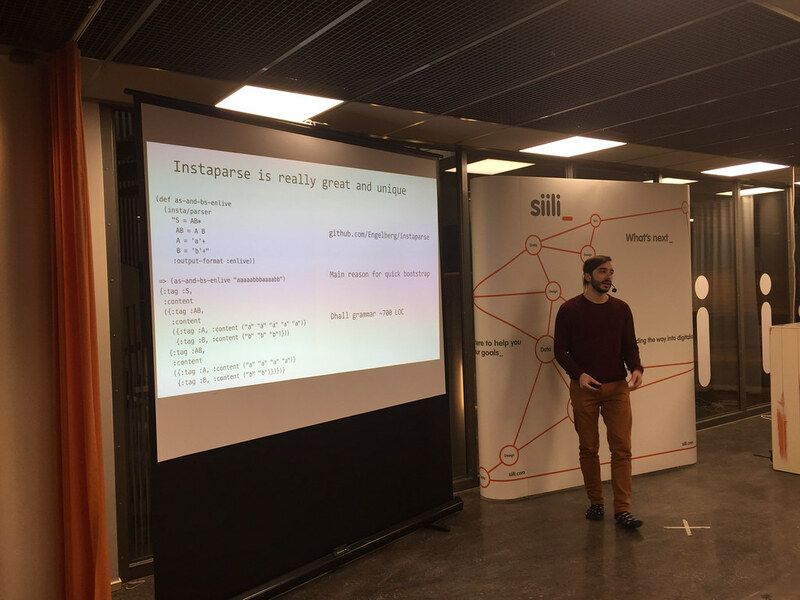 People expressed interest to both technical presentations as well as to discussions about how people are using Clojure to solve problems in their cases – something which we might have had a bit less in presentation topics. We also discussed that it would be great to collaborate more within this community on how to convince people to try and embrace Clojure more, both for fun and profit. Overall people genuinely appreciated the idea of having regular meetups, where they have the possibility to collaborate with and meet other Clojure enthusiasts outside their regular working environment. Especially as the community in Finland is not that big, and we do not necessarily have a good environment where to come together and collaborate online. Clojurians slack is sometimes so busy with chatter that Finland channel history gets erased before you have time to read what is going on there. So what could we do in 2019? 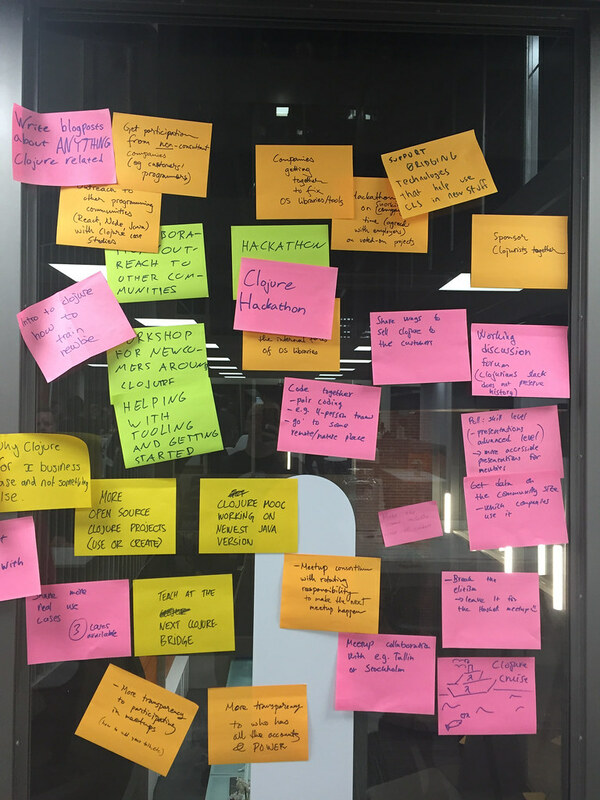 We did not have time to process these ideas and possibilities further during the meetup so the discussions and actions will continue. I know I already promised to do few presentations about customer cases I know of and have ( or will get ) permission to talk about. I will also share our notes and thoughts from Dutch Clojure Days in April or May. What would you like to contribute to? Join Clojurians Finland channel and continue the discussion!